This long range bundle includes a twin set of home phones from Gigaset along with an RTX signal booster for up to double the cordless range. Recommended by Which? 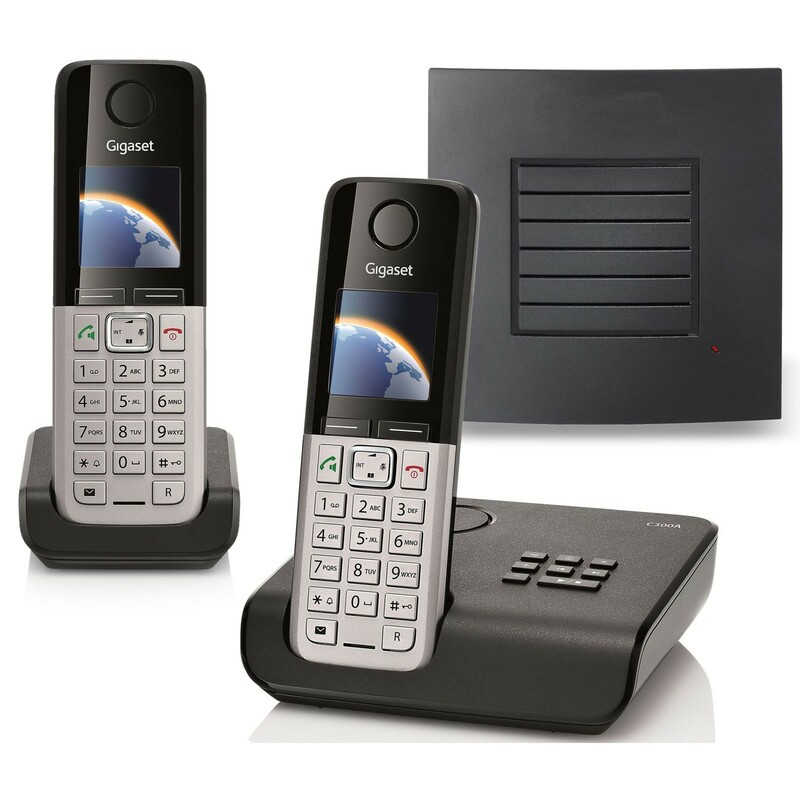 as a Best Buy Cordless Phone, benefits of the C300A include: an integrated answering machine on the base, convenient DECT features, excellent sound quality, and a 2-year warranty. The Gigaset C300A is equipped with an array of useful and user-friendly features. From the phonebook memory for up to 250 contacts and the facility to conveniently transfer entries between handsets; to the in-built digital answering machine to help you manage your missed calls. Each handsets benefits from a large colour display on each handset, intuitive menu layout, and well spaced keypad to aid ease-of-use. Further advantages include: anonymous call silencing, call transfer, caller ID, intercom, and loudspeaker for hands-free. The RTX Repeater is a DECT Range Extender, which works with most GAP compatible cordless phones to help you. It registers to the base station of your C300A, requires only a mains power socket and is easy to set-up using either our step-by-step guide or video tutorial. Once registered the RTX repeater can up to double the cordless range you will get from your base. If you’re looking for a dependable set of home phones with extra long range then the Gigaset C300A Twin is an ideal choice.